“If Lakshmana had heard sound produced by Mareecha in the deer ‘s form , which imitated in stretched out fashion my voice, and is sent by Maithili , leaving her there alone , to see me, he would be arriving here quickly and come towards me and come in to my presence “ Rama thought. This is the end of the fifty seventh chapter Of the book of Aranya (Forest) of the holy Ramayana composed by Valmiki as the first epic. This is the end of the fifty eighth chapter Of the book of Aranya (Forest) of the holy Ramayana composed by Valmiki as the first epic. This is the end of the fifty ninth chapter Of the book of Aranya (Forest) of the holy Ramayana composed by Valmiki as the first epic. This is the end of the sixtieth chapter Of the book of Aranya (Forest) of the holy Ramayana composed by Valmiki as the first epic. This is the end of the sixty first chapter Of the book of Aranya (Forest) of the holy Ramayana composed by Valmiki as the first epic. This is the end of the sixty second chapter Of the book of Aranya (Forest) of the holy Ramayana composed by Valmiki as the first epic. Seeing brother Rama drowned in intense sorrow seeing that Lakshmana who himself was attacked with great grief , after taking a deep breath Rama told these words which were in tune with his sorrow. This is the end of the sixty third chapter Of the book of Aranya (Forest) of the holy Ramayana composed by Valmiki as the first epic. This is the end of the sixty fourth chapter Of the book of Aranya (Forest) of the holy Ramayana composed by Valmiki as the first epic. Rama who was deeply pained by the abduction of Sita , was burning like the fire at the time of deluge and wanting to destroy the entire world was taking difficult breaths again and again , and looked like Lord Shiva getting ready to destroy all the worlds at the of the end of all Yugas . Seeing Rama angry and in a never before form , Lakshmana saluted him first and told him with his mouth dried up. “Oh king, if you are not able to get back Sita by sincerity, simplicity , humility and diplomacy , then destroy them with your arrows , decorated by gold which are like Vajrayudha of that great Indra. This is the end of the sixty fifth chapter Of the book of Aranya (Forest) of the holy Ramayana composed by Valmiki as the first epic. This is the end of the sixty sixth chapter Of the book of Aranya (Forest) of the holy Ramayana composed by Valmiki as the first epic. This is the end of the sixty seventh chapter Of the book of Aranya (Forest) of the holy Ramayana composed by Valmiki as the first epic. This is the end of the sixty eighth chapter Of the book of Aranya (Forest) of the holy Ramayana composed by Valmiki as the first epic. Then both of them saw that Kabandha (only body) with his body at a distance of one krosa( one and half miles) mighty , frightening , gross and with his hands stretched out and it was frightening to see. This is the end of the sixty ninth chapter Of the book of Aranya (Forest) of the holy Ramayana composed by Valmiki as the first epic. 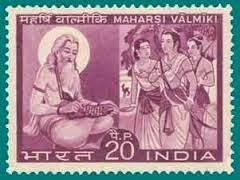 This is the end of the seventieth chapter Of the book of Aranya (Forest) of the holy Ramayana composed by Valmiki as the first epic. This is the end of the seventy first chapter Of the book of Aranya (Forest) of the holy Ramayana composed by Valmiki as the first epic. This is the end of the seventy second chapter Of the book of Aranya (Forest) of the holy Ramayana composed by Valmiki as the first epic. 73.Kabandha guides them to meet Sabari and then Sugreeva. This is the end of the seventy third chapter Of the book of Aranya (Forest) of the holy Ramayana composed by Valmiki as the first epic. This is the end of the seventy fourth chapter Of the book of Aranya (Forest) of the holy Ramayana composed by Valmiki as the first epic. This is the end of the seventy fifth chapter Of the book of Aranya (Forest) of the holy Ramayana composed by Valmiki as the first epic. End of the book of forests.